A comfortable pet buoyancy aid that protects your pet from cold and heat. Delrin buckles for easy fit and comfort. Fitted with D- ring for the leash. 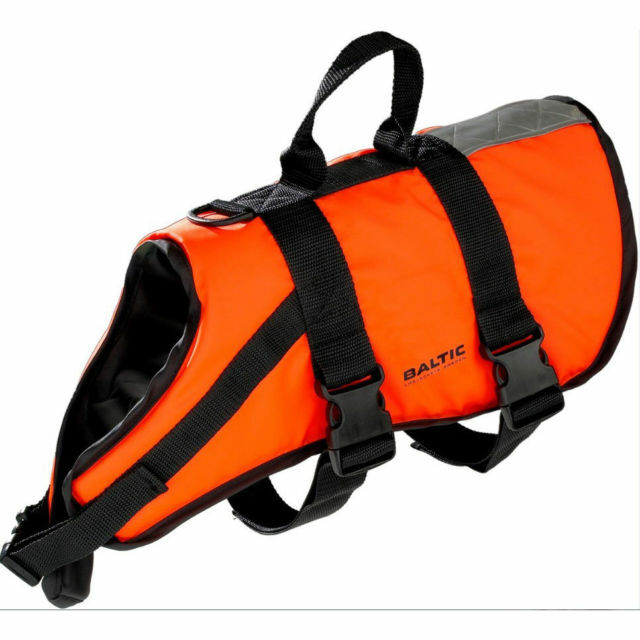 All jackets have an orange fabric outer with 20mm of foam buoyancy inside, 3 straps and a lifting handle to move your dog easily. Small jacket is most suitable for dogs with a back length of 9" (from shoulder to tail) and a 9" wide back. Medium jackets are suitable for dogs with a back length of 11" (from shoulder to tail) and a 12" wide back. Large jacket is most suitable for dogs with a back length of 13.5" (from shoulder to tail) and a 15" wide back.